This article is about the year 1780. Wikimedia Commons has media related to 1780. May 29: Waxhaw Massacre in America. 1780 (MDCCLXXX) was a leap year starting on Saturday of the Gregorian calendar and a leap year starting on Wednesday of the Julian calendar, the 1780th year of the Common Era (CE) and Anno Domini (AD) designations, the 780th year of the 2nd millennium, the 80th year of the 18th century, and the 1st year of the 1780s decade. As of the start of 1780, the Gregorian calendar was 11 days ahead of the Julian calendar, which remained in localized use until 1923. January 16 – American Revolutionary War – Battle of Cape St. Vincent: British Admiral Sir George Rodney defeats a Spanish fleet. February 19 – The legislature of New York votes to allow its delegates to cede a portion of its western territory to the Continental Congress for the common benefit of the war. March 1 – The legislature of Pennsylvania votes, 34 to 21, to approve the Act for the Gradual Emancipation of Slaves. The First League of Armed Neutrality is formed by Russia with Denmark and Sweden to try to prevent the British Royal Navy from searching neutral vessels for contraband (February 28 O.S.). General Lafayette embarks on French frigate Hermione at Rochefort, arriving in Boston on April 28, carrying the news that he has secured French men and ships to reinforce the American side in the American Revolutionary War. March 17 – American Revolutionary War: The British San Juan Expedition sails from Jamaica under the command of Captains John Polson and Horatio Nelson to attack the Captaincy General of Guatemala (modern-day Nicaragua) in New Spain. March 26 – The British Gazette and Sunday Monitor, the first Sunday newspaper in Britain, begins publication. April 16 – The University of Münster in Münster, North Rhine-Westphalia, Germany is founded. April 29 – American Revolutionary War: The Spanish commander of the Fortress of the Immaculate Conception on the San Juan River in modern-day Nicaragua surrenders it to the British San Juan Expedition. May 4 – The first Epsom Derby horse race is run on Epsom Downs, Surrey, England. The victor is Diomed. May 12 – American Revolutionary War: Charleston, South Carolina is taken by British forces. May 13 – The Cumberland Compact is signed by American settlers, in the Cumberland Valley of Tennessee. May 19 – New England's Dark Day: An unaccountable darkness spreads over New England, regarded by some observers as a fulfillment of Bible prophecy. May 29 – American Revolutionary War – Waxhaw Massacre: Loyalist forces under Colonel Banastre Tarleton kill surrendering American soldiers. June 2 – An Anti-Catholic mob led by Lord George Gordon marches on the Parliament of Great Britain, leading to the outbreak of the Gordon Riots in London. June 7 – The Gordon Riots in London are ended by the intervention of troops. About 285 people are shot dead, with another 200 wounded and around 450 arrested. June 23 – American Revolutionary War – Battle of Springfield: The Continental Army defeats the British in New Jersey. July 11 – French soldiers arrive in Newport, Rhode Island to reinforce the colonists, in the American Revolutionary War. July 17 – The first bank created in the United States, the Bank of Pennsylvania, is chartered. August 16 – American Revolutionary War – Battle of Camden: British troops inflict heavy losses on a Patriot army at Camden, South Carolina. August 9 – American Revolutionary War: Spanish admiral Luis de Córdova y Córdova captures a British convoy totalling 55 vessels amongst Indiamen, frigates and other cargo ships off Cape St. Vincent. August 24 – Louis XVI of France abolishes the use of torture in extracting confessions. September 21 – Benedict Arnold gives detailed plans of West Point to Major John André. Three days later, André is captured, with papers revealing that Arnold was planning to surrender West Point to the British. September 25 – Benedict Arnold flees to British-held New York. October 2 – American Revolutionary War – In Tappan, New York, British spy John André is hanged by American forces. October 7 – American Revolutionary War – Battle of Kings Mountain: Patriot militia forces annihilate Loyalists under British Major Patrick Ferguson, at Kings Mountain, South Carolina. October 10–16 – The Great Hurricane flattens the islands of Barbados, Martinique and Sint Eustatius; 22,000 are killed. 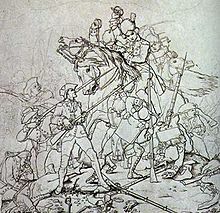 November 4 – Rebellion of Túpac Amaru II: In the Spanish Viceroyalty of Peru, Túpac Amaru II leads an uprising of Aymara and Quechua peoples and mestizo peasants as a protest against the Bourbon Reforms. November 28 – A lightning strike in Saint Petersburg begins a fire that burns 11,000 homes. November 29 – Maria Theresa of Austria dies, and her Habsburg dominions pass to her ambitious son, Joseph II, who has already been Holy Roman Emperor since 1765. November 30 – American Revolutionary War: The British San Juan Expedition is forced to withdraw. December 16 – Emperor Kōkaku accedes to the throne of Japan. December 20 – The Fourth Anglo-Dutch War begins. Jose Gabriel Kunturkanki, businessman and landowner, proclaims himself Inca Túpac Amaru II. The Duke of Richmond calls, in the House of Lords of Great Britain, for manhood suffrage and annual parliaments, which are rejected. Jeremy Bentham's Introduction to Principles of Morals and Legislation, presenting his formulation of utilitarian ethics, is printed (but not published) in London. Nikephoros Theotokis starts introducing Edinoverie, an attempt to integrate the Old Believers into Russia's established church. The Woodford Reserve bourbon whiskey distillery begins operation in Kentucky. In Ireland, Lady Berry, who is sentenced to death for the murder of her son, is released when she agrees to become an executioner (she retires in 1810). The original Craven Cottage is built by William Craven, 6th Baron Craven, in London, on what will become the centre circle of Fulham F.C. 's pitch. The amateur dramatic group Det Dramatiske Selskab is founded in Christiania, Norway. Western countries pay 16,000,000 ounces of silver for Chinese goods. The Kingdom of Great Britain reaches c.9 million population. ^ Lossing, Benson John; Wilson, Woodrow, eds. (1910). Harper's Encyclopaedia of United States History from 458 A.D. to 1909. New York: Harper & Brothers. p. 166. ^ a b Ferguson, Russell J. (1938). Early Western Pennsylvania Politics. p. 34. ^ Williams, Hywel (2005). Cassell's Chronology of World History. London: Weidenfeld & Nicolson. p. 333. ISBN 0-304-35730-8. ^ Facts for the Times: Containing Historical Extracts, Candid Admissions, and Important Testimony from Eminent Authors, Ancient and Modern on the Leading Topics of the Scriptures and Signs of the Times. Review and Herald Publishing. 1893. p. 66. ^ Juster, Susan (2010). Doomsayers: Anglo-American Prophecy in the Age of Revolution. University of Pennsylvania Press. p. 223. ^ Hattendorf, John (2000). Naval policy and strategy in the Mediterranean: past, present, and future. Taylor & Francis. p. 37. ISBN 0-7146-8054-0. ^ Harbron, John (1988). Trafalgar and the Spanish Navy. Conway Maritime Press. p. 84. ISBN 0-85177-477-6. ^ Edler, Friedrich (2001) . The Dutch Republic and The American Revolution. Honolulu: University Press of the Pacific. pp. 163–166. ISBN 0-89875-269-8. ^ "Shere-e-Punjab Maharaja Ranjit Singh (1780-1839 AD) (A brief account)". Chandigarh: Institute of Sikh Studies. Retrieved October 10, 2012. John Blair; J. Willoughby Rosse (1856). "1780". Blair's Chronological Tables. London: H.G. Bohn – via Hathi Trust.